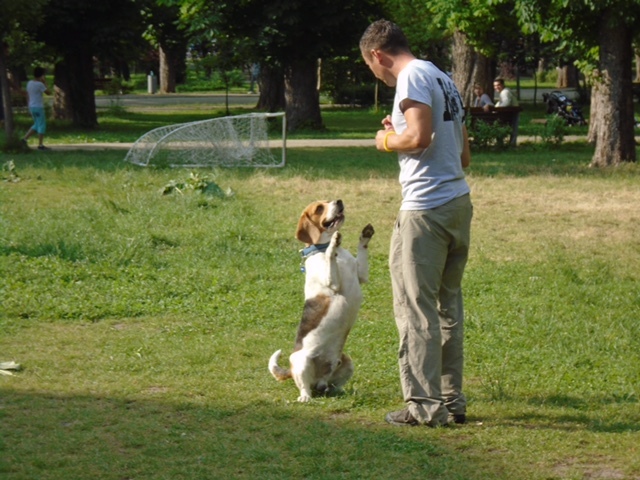 K9 Nation will help you to better understand your dog and learn how to communicate effectively with him, so that the time spent together will be a real pleasure. - Preparation for working trials: Mondioring, Ipo. 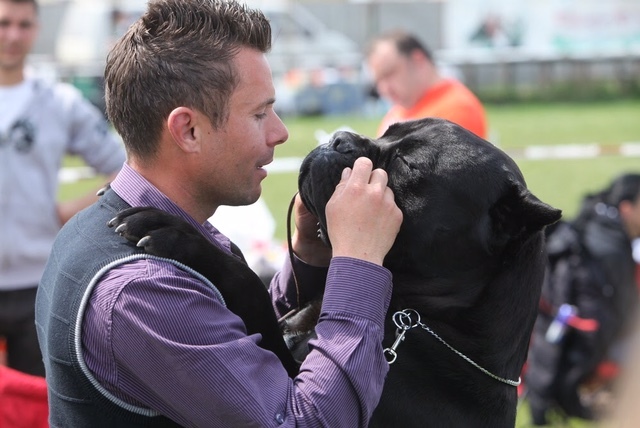 Dog shows are increasingly appreciated by the general public, even becoming a trend lately. 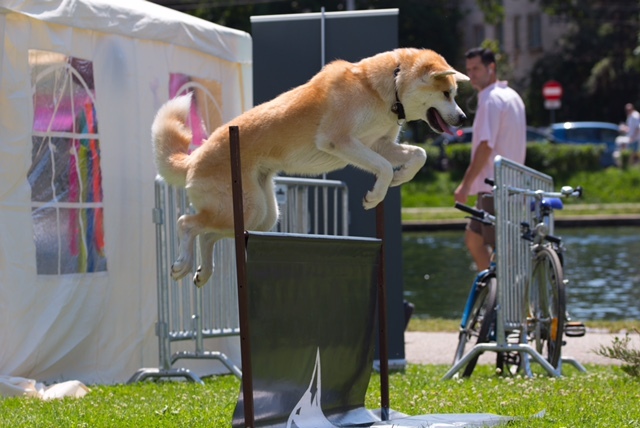 K9 Nation deals with the preparation and showing of dogs with superior genetic skills for dog shows - national and international. According to participants in the country, K9 Nation is top show handler in the country! Coming soon! 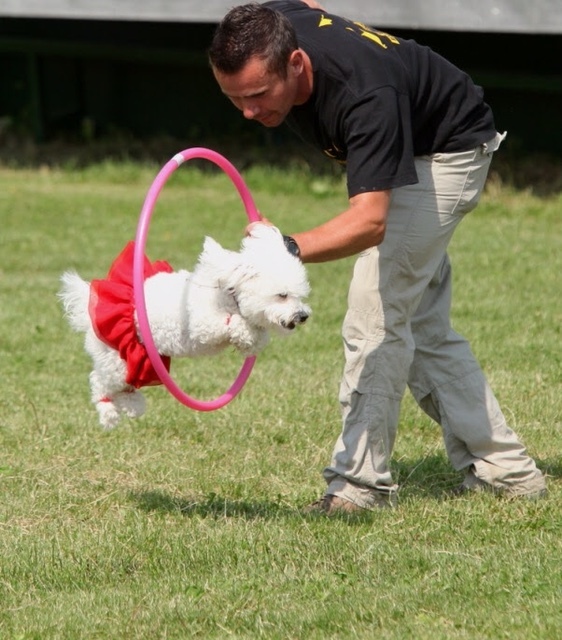 Because we know that you love to pamper your dogs; having the status of family members, we provide a 5 star hotel! Video surveillance is provided individually for each dog, both indoor and outdoor. when the dog owner works with the puppy from day one under the direct guidance of the instructor. 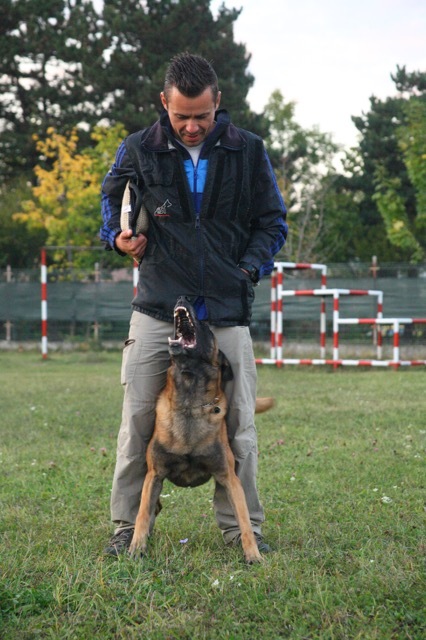 This is generally the preferred way to approach clients at K9 Nation dog training school. 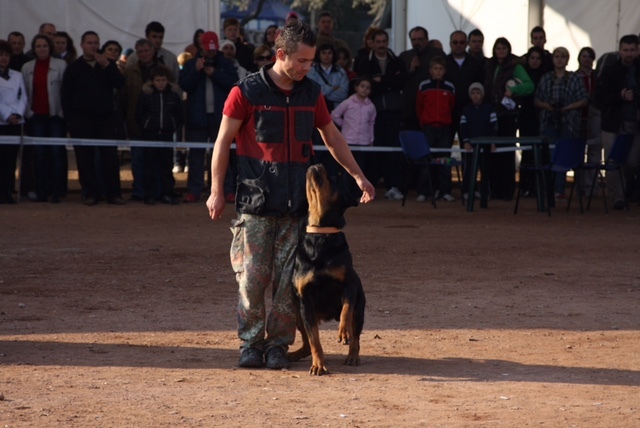 The instructor works alongside the dog until the later manages to acquire the owner's requirements. 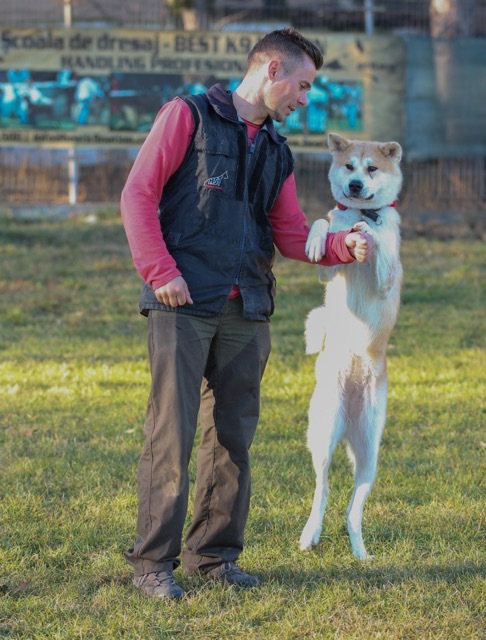 Subsequently, he works with the owner to transfer authority where they explain the practice of observing your dog, rewarding him when and how, and to what extent it correct, if necessary. I took my first exam as a training instructor and decoy (attack man) in 2007, in Hungary, after which I gradually specialized for various levels of training and became a speciality training instructor and decoy : Ipo and Mondioring. Thus, the story of my work in the field has grown in several stages and many special places: in Hungary, the Netherlands, USA, Romania and Slovakia. After 7 years, after two years living in Los Angeles, I had the pleasure of starting a collaboration with a company in England. 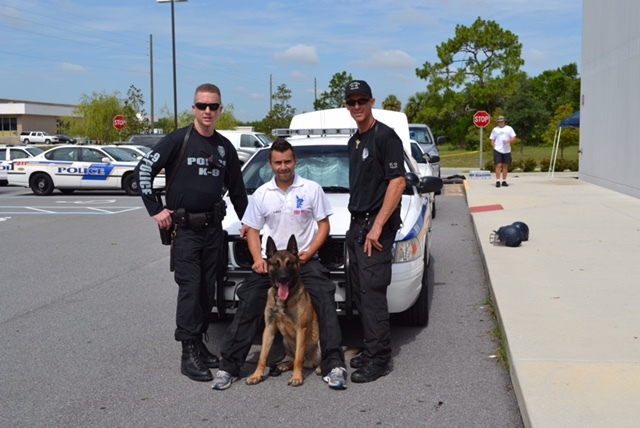 Our responsibility was to prepare "green dogs" for various police departments in the United States. It's about dogs trained for dual purpose use, detection of different banned substances and for intervention in case of need. 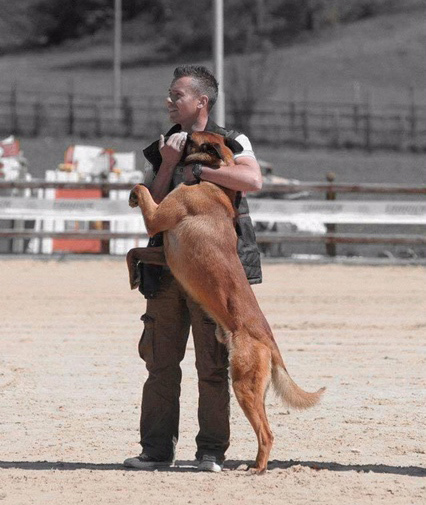 Currently, K9 Nation has over 15 service dogs that can act as needed in USA. Fuego – has become the new Junior World Club Winner and Best Junior! 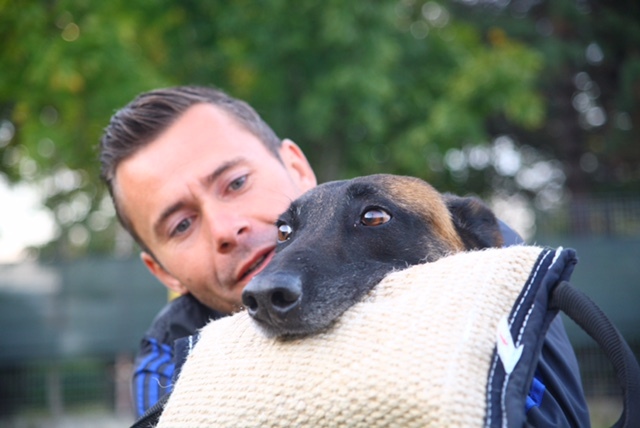 It has been quite a journey with a great deal of competitors with quality dogs ffrom all over the world! 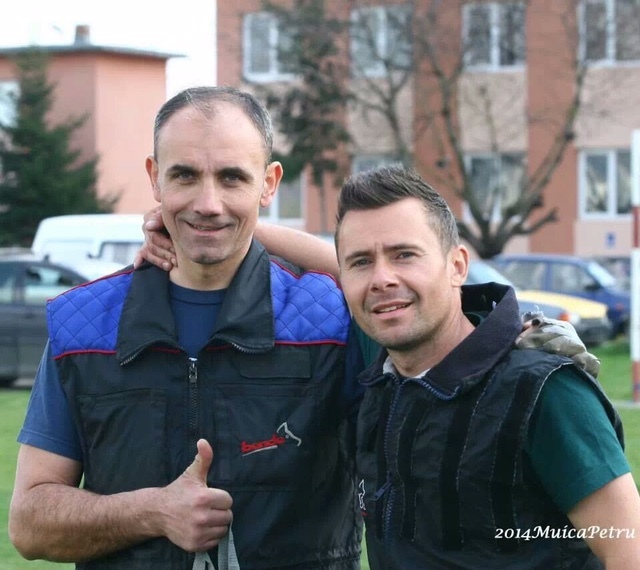 Congratulations to Fuego’s breeder and owner! 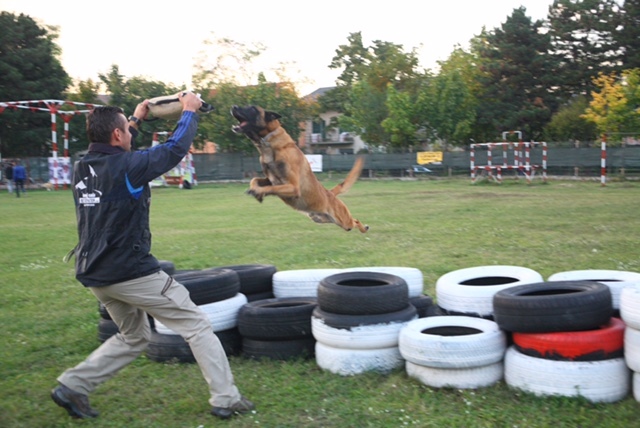 Ma enerveaza cand vad reactia catelului meu (Cane Corso) cand il vede pe Laci, parca este intr-o alta lume atat de fericita este cand il vede chiar daca a parcurs cursurile de “dresaj” acum mai bine de 6 ani. Din perspectiva mea cateii nostrii au nevoie de educare nu neaparat de dresajul la care ne gandim cand luam legatura cu un dresor profesional. 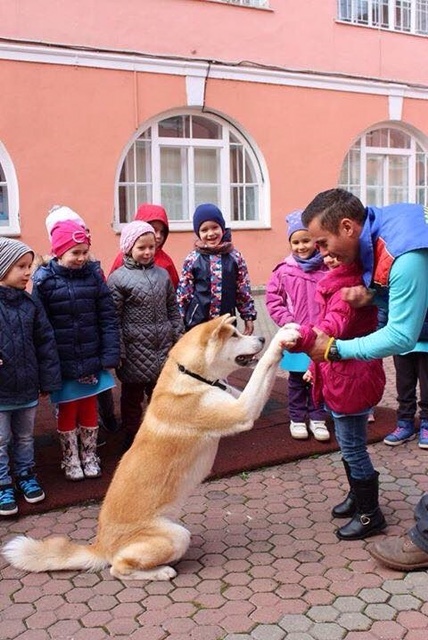 La BestK9Nation catelul meu a primit si educatie si a fost si dresat. Recomandarea mea este sa nu ne asteptam la minuni, cainele va invata si va stii ce trebuie sa faca de la Laci dar fara preseverenta si consecventa noastra in educatia cainelui nu vom fi multumiti de rezultate. Eu cred ca eu am fost “dresat” mai mult de cat catelul. Recomand pentru toti iubitorii de caini care intaleg diferenta intre a ne preface ca dresam sau educam un caine si fapta in sine. Cine are dubii recomand sa parcurgeti rezultatele obtinute atat la concursurile de frumusete (care si ele implica o mare dedicatie si cunostinte in dresajul de ring) cat si la concursurile speciale pentru caini de lucru. Nimic nu va vorbii mai clar de cat rezultatele obtinute. L-am cunoscut pe Laci in urma cu 3 ani, cand aveam o catelusa maidaneza, batrana. Era imperios necesar sa o invete comenzile de baza pentru a ne putea intelege. 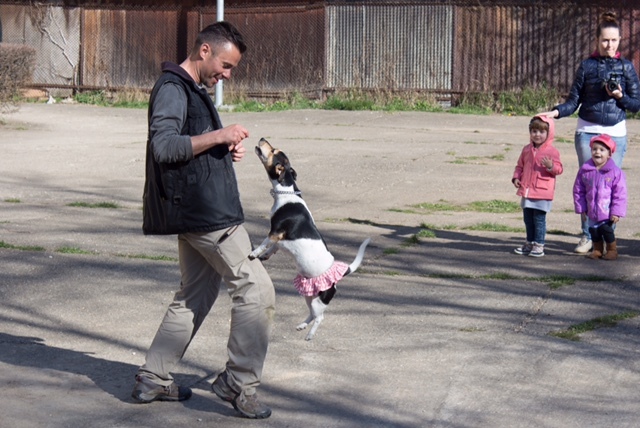 Ei bine, Laci a reusit sa demonteze mitul conform caruia: " you can't teach an old dog new tricks"!!! 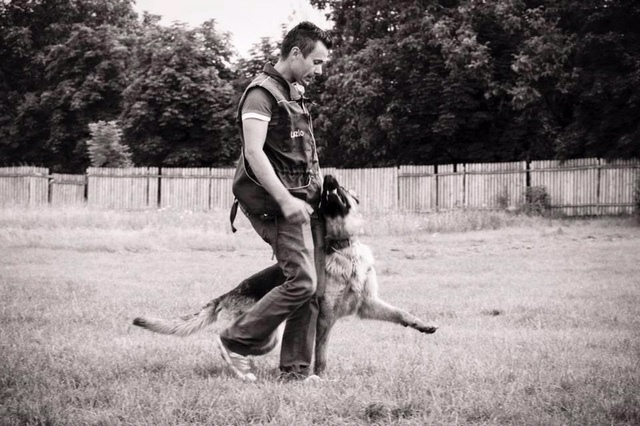 Laci este un foarte bun cunoscator al psihologiei canine, lucreaza cu ei prin metode pozitive, ii considera parte din familie, zic eu ca este tot ceea ce mi-as putea dori de la un profesor pentru catei. Este un geniu in materie de dresaj si handling. Situatiile dificile, care inevitabil pot aparea, le anticipeaza, stapaneste cu calm si le depaseste fara nici un efort. 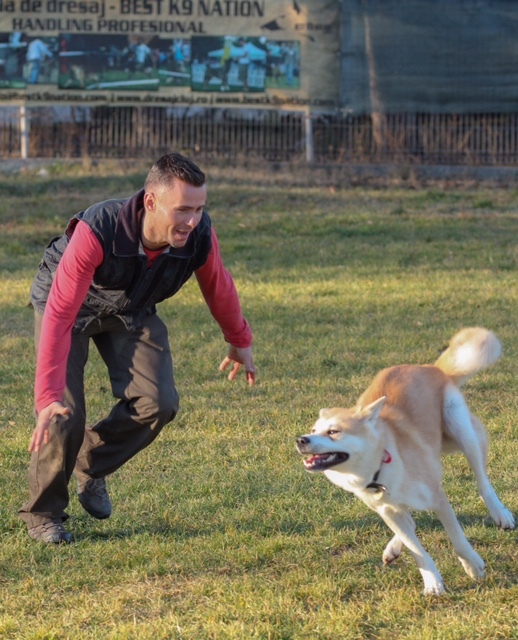 Il recomand si il voi recomanda tuturor celor care vor sa aiba un caine cu care sa se poata intelege, cu care sa poata iesi in public, cu care sa mearga la concursuri...Laci, te ajuta sa ai nu un caine, ci un prieten-partener. Contact us regarding information about courses and availability by using the form below.